Jem is my name, no one else is the same! But we’re the Misfits, our songs are better! We are the Misfits, the Misfits! And we’re gonna get her! 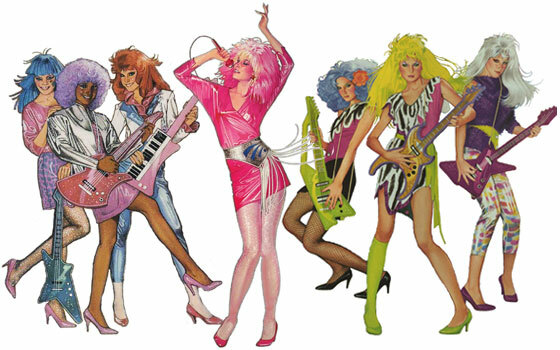 Ah Jem the Spice Girls of the 80s! Original Girl Power! 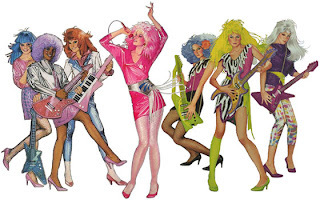 Jem aka Jerrica Benton is the leader of the Holograms and Pizzazz was the leader of the Misfits. There was a lot of rivalry but unlike the Misfits the Holograms believed there was enough room in the charts for both groups. 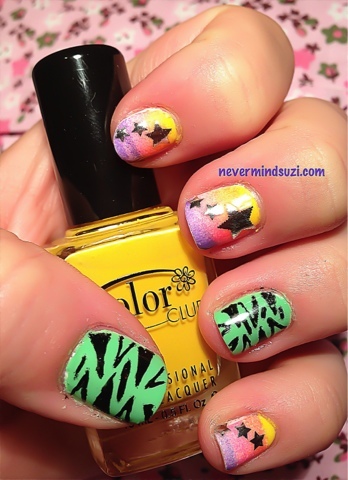 Color Club - Wham! Pow! So I think it's fairly obvious that I've represented both Jem and Pizzazz here. I wish I could get into our attic and find my old Jem dolls!! Do you still have your Jem dolls? love it, oh Jem memories! 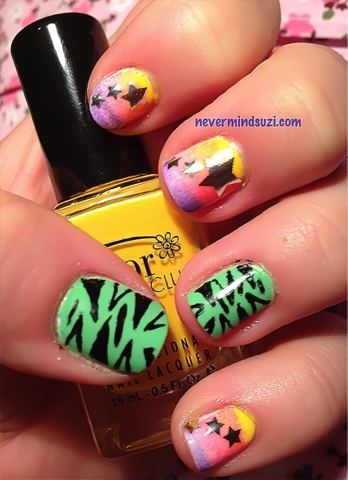 Loved Jem and this mani! I remember I had the doll and she had awesome 80's hair! I looooooooove Jem!! 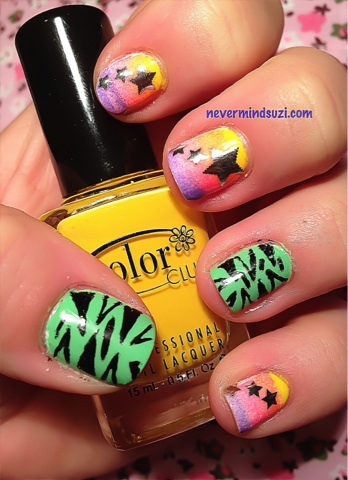 This mani is perfect. How did you do the stars?? NOTD: Girly Bits - Mother May I? NOTD: Dollish Polish - Go Luigi! NOTD: Dollish Polish - It's A Me Mario! NOTD: Dollish Polish - You Meddling Kids!